Armadillos are a tropical species that seems to be slowly expanding their range into North Carolina. We know very little about their presence in the state, with just a handful of records from a few counties, most of which are road kills. 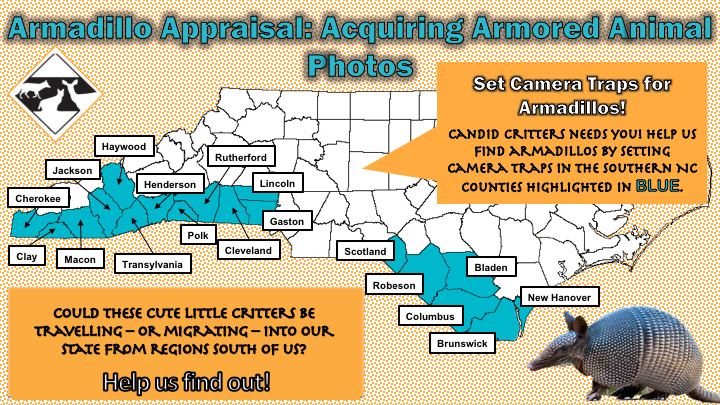 We are on the look-out for evidence of armadillos in NC and we need your help! 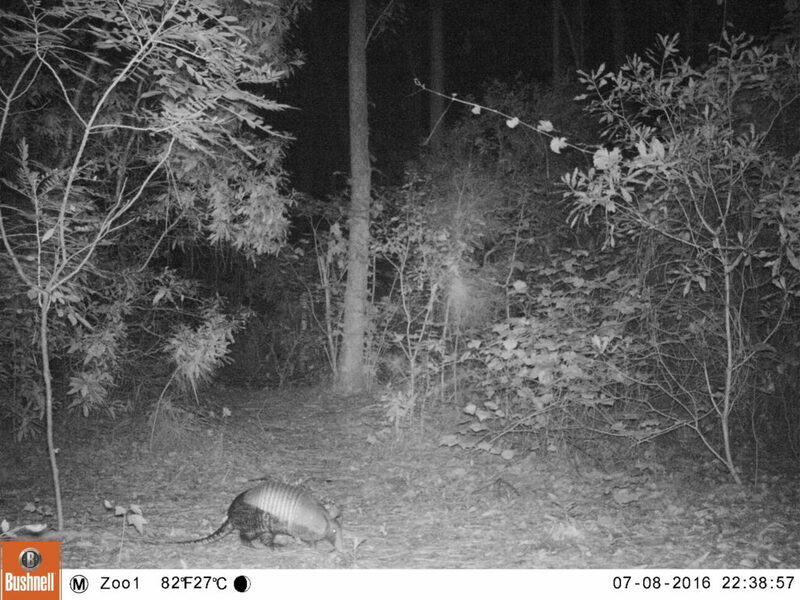 You can join the assessment by running a camera trap as part of the NC Candid Critters project. Camera traps are a great survey method because they don’t disturb the animals and are easy to set out over a wide variety of locations and habitats. 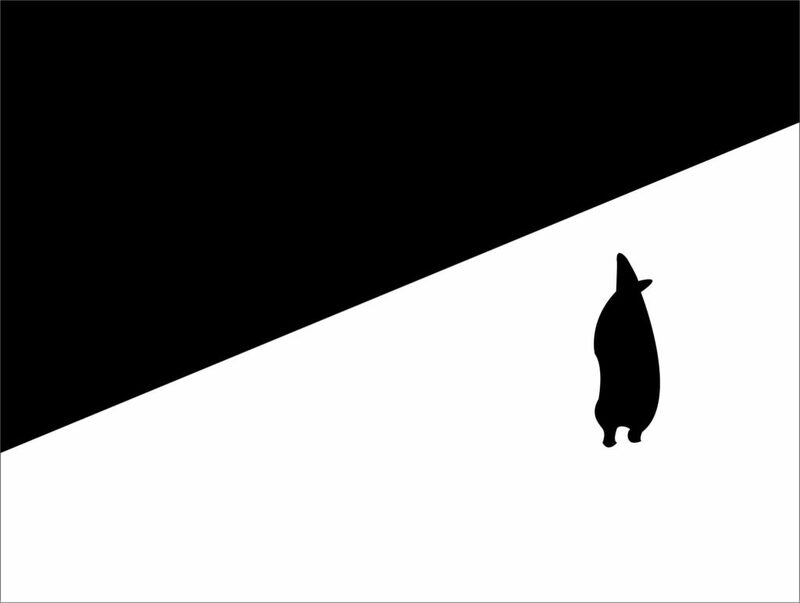 We are looking for volunteers to join us in this project for the fall and winter seasons of 2018 and 2019. We can even loan you a camera trap if you don’t already own one. We just ask that you take our training to make sure we are all setting cameras the same way (no bait please!) and then send us the pictures so we can document all the wildlife at these sites – armadillos and their friends. Forests and fields (but not at high elevations), sandy soils or other places where it’s easy to dig. Armadillos are also known to forage for insects in open areas like golf courses. Armadillos could show up anywhere, but these are a few hot spots where they have been recorded lately according to the Mammals of North Carolina web site. Macon County: in 2016 one was photographed near Coweeta Hydrologic Lab dormitory, Nantahala National Forest. In 2016 one was photographed on Western Carolina University campus – Gribble Gap field site, in the field between Wake Robin Rd and Little Savannah Rd. In 2015 a road kill was found southwest of Balsam Gap, near mile-marker 93 on HWY 23/74. Transylvania County: In 2016 a road kill was observed in Gorges State Park, Sapphire.